The Safe Haven Law enables a person to anonymously give up custody of a newborn infant that they cannot or choose not to care for. As long as the newborn is 30 days old or younger and has not been intentionally harmed, the person may do so without fear of arrest or prosecution. The Safe Haven Law was created to prevent infants from being hurt or dying because they were abandoned. The baby can be brought to a fire department, police station, nonprofit community health center, hospital, or health department, and must be handed over to a staff member. Simply state that you are giving up custody of the infant under the Safe Haven Law. As long as the infant shows no signs of intentional abuse, you will not need to give any personal information (including your name). However, any voluntary information you are willing to provide (such as date of birth, family health history, etc.) would be appreciated so that medical professionals can care for the infant as thoroughly as possible. To place your infant for adoption, you must make an adoption plan and enter into a legal contract where you give up your right to custody of your child. Safe Haven arrangements do not require paperwork or contracts. The process is anonymous, as long as your baby is unharmed. The Safe Haven Law allows you to give your baby to a responsible adult at a designated location, and walk away, no questions asked. Can I have someone else bring the baby to a Safe Haven location? Yes. The parent may choose to have someone else bring in the infant. A priest, friend, family member, teacher, or other responsible person can bring the baby to a Safe Haven location. Yes. 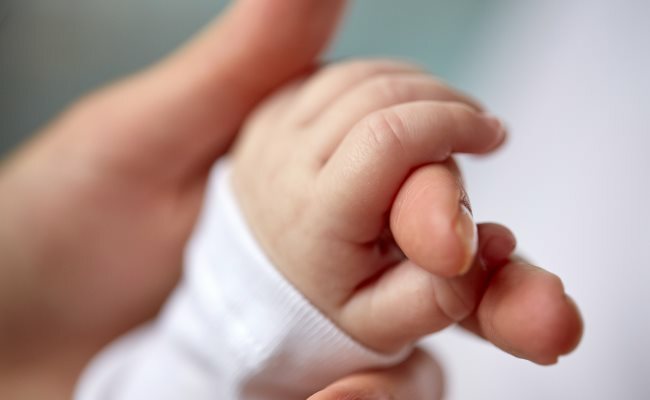 You can advise a parent to call the Safe Haven Hotline 1-888-510-BABY (or call for them) to receive counseling and details on the address and directions to the closest Safe Haven location in your state. No. A parent can walk in anytime, provided that there are staff present to receive the infant at the Safe Haven location. No. Nothing is required other than simply stating that custody of the child is being given up under the Safe Haven Law. However, staff will record any information that a parent is willing to share, such as the child’s health, race, date of birth, place of birth or the medical history of the parents. This could be very useful in caring for the child. The child will be examined by a medical professional and will be given treatment if needed. The Social Services Administration will then take custody through Child Protective Services and place the child with an appropriate caregiver. Yes. Every state in the United States has a Baby Safe Haven Law. The details of the law vary from state to state, so it’s important you learn about your state’s requirements. The purpose of the Safe Haven Law is to protect babies from being hurt or dying because they were abandoned. You may have heard tragic stories of babies being left behind. The parents who committed these acts may have been under severe emotional stress. The mothers may have hidden their pregnancies, fearful of what would happen if their families found out. Because they were afraid and had nowhere to turn for help, they abandoned their babies. Abandoning a baby puts the infant in extreme danger. Too often, it results in the infant’s death. It is also illegal, with severe consequences. But with Safe Haven, this tragedy doesn’t ever have to happen again. A parent who has safely turned over an unharmed newborn at a Safe Haven location has 30 days to send a request to the court stating that they changed their mind and asking for custody of the infant. I’m in a custody battle. How do I know my spouse won’t use the Safe Haven Law to take away my child? Safe Haven laws and locations are only for infants. If your child isn’t an infant, there’s no way the Safe Haven law can be used. If your child is an infant, rest assured that when a baby comes into the Safe Haven program, authorities across the US are notified and a thorough check is done to make sure no one is looking for the baby.